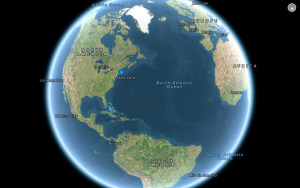 Google Maps is among the most useful and, dare I say, most beloved apps on the iPhone. But while the Google Mobile Maps team has recently rolled out a handful of enhancements to the maps program, the iPhone is getting left behind. 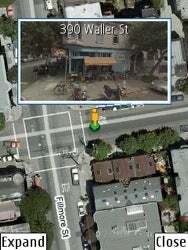 The new features add functionality that’s been available on the Google Maps website for a while, most prominently Street View and walking directions. Street View uses Google’s fleet of camera-enabled vehicles to assemble street-level pictures of mapped areas. You can rotate the view to look around at multiple angles and even move up and down the street. It’s like walking up and down the street—without having to walk up and down the street! In addition, the team has also rolled in walking directions. While Google Maps has long been able to give you directions for getting from Point A to Point B by car, anybody who’s ever tried to use it for pedestrian travel has quickly realized that it’s often a good way to take a scenic detour. Unfortunately, none of these extra features are available to iPhone users, because the updated Google Mobile Maps application runs only on the Blackberry and other Java-enabled phones. The post on the Official Google Mobile Blog says that they’re “working on bringing all these new features to other platforms as well,” so we can only hope that a Maps application update is in the works. After all, you gotta get some mileage out of the fact that the CEO of Google sits on the Apple board, right?